Chapter 22: The Exodus of Moses. This chapter concentrates on the period surrounding the events of 1492 BC, including an electric contact by Venus, the Exodus of Moses, the fall of the Middle Kingdom of Egypt, and changes experienced worldwide. "In the Bronze Age," reads a book on the prehistory of Crete, "Crete was the first center of naval power, where people lived in peace and plenty in unwalled cities. This lasted for over 1500 years." "About 1400 BC a great catastrophe befell the island, a catastrophe of which we have no clear record in history, but one which is marked by destroyed and abandoned cities and villages, and from which the civilization as a whole never recovered." Whole nations of people migrated following 1500 BC. Others disappeared. It may be conjectured that Mesoamerica developed its bloodbath of controls over the spiritual world at this time. India disappeared into a Dark Age which did not lighten for 700 years. China, on the other hand, started its civilization in earnest. There were probably as many clever solutions to the catastrophes as there were desperate failures. Those who coped, those who found the imagination to handle unpredictable disasters, survived. It was in 1492 BC that the dragon Venus "attacked" Earth. This is the planet which had been "expelled from Jupiter's skull" at the time of the confrontation with Saturn (3147 BC), had swung into an orbit nearly identical with Earth's orbit of that time. Venus would blaze through the sky for 2400 years with a coma and a 30 million mile (48 million km) long tail. Venus is the only deity which is almost universally recognized as having been "born" during historic times. The birth of Venus was seen by humans in 4077 BC (when Saturn went nova), or alternately seen as the separation from Saturn and Jupiter after 3147 BC. I should point out also that the electric contact with Venus was the core of Velikovsky's book Worlds in Collision, where it is supposed that Venus traveled on a path that brought it close to Earth -- "nearly collided." This of course is nonsense, since planets do not alter their orbits to nearly collide with one another. If this had happened, we would not be here to tell the tale of Venus. But it is obvious that Mars after 800 BC did come very close, as it had at two earlier times, with an unbelievable amount of damage done to Earth by such a tiny planet. If this had been Venus, Earth would have been totally destroyed. The contact, the "near collision" with Venus in 1492 BC happened at a separation distance, I estimate, of some 10,000,000 miles (16,000,000 km). Since 2193 BC (the second "contact" in this era), and for 700 years afterward, Venus and Earth were never again in line with the Sun at the same time. Nothing more spectacular happened than the displays of the coma and tail of Venus as the planet ranged across the skies, approached and retreated over the span of the year, and periodically crossed Earth's path to move deep into the night skies of the south. Venus was discharging its birth legacy of surplus charge. It would continue to do so perhaps until sometime before the time of Aristotle who commented on the status of Venus as a planet -- the Babylonians, somewhat earlier, had not considered Venus to be a planet because of its strange behavior. A sequence of events can be established. Venus passed on the day side of Earth, between Earth and the Sun. There is good evidence (from Olmec Mesoamerica) that a plasmasphere contact (an Earth shock) happened on the Gregorian equivalent calendar date of April 19th, 1492 BC. This date is developed in the chapter "Olmec Alignments." The book of Exodus says it happened on the 14th day of the first month of spring, held to be April. "In the manuscripts of Avila and Molina, who collected the traditions of the Indians of the New World, it is related that the sun did not appear for five days, a cosmic collision of stars preceded the cataclysm; people and animals tried to escape to mountain caves." "Scarcely had they reached there, when the sea, breaking out of bounds following a terrifying shock, began the rise on the Pacific coast. But as the sea rose, filling the valleys and the plains around, the mountain of Ancasmarca rose too, like a ship on the waves. During the five days that this cataclysm lasted, the sun did not show its face and the earth remained in darkness." The use of this source is misleading, since the quoted paragraph is not about Mexico, despite the book's title. Francisco de Avila and Christoval de Molina documented Peru and the Inca. The mountains of Cerro Ancasmarca are in Peru at 11.5 degrees south latitude, and inland near Cusco. "... the Cordillera [the mountain chain of the Andes] itself is absolutely modern as compared with many of the fossiliferous strata of Europe and America." The impact was near the equator (because this was just after the vernal equinox), and the force would have passed through the Earth below the equator. In response, the southern hemisphere tilted away from the Sun ("down"), and the Earth would have been subjected to an immediate gyroscopic reaction. A look at a globe will reveal that most of the Earth was spared from utter destruction because the 1500 mile (2400 km) diameter compressive Earth shock was experienced in the Pacific. The shock, writes Velikovsky, was felt at midnight in Egypt. A location in the Pacific west of South America would have faced the Sun and is, in fact, about 180 degrees removed from Egypt -- noon in the Central Pacific at 120 degrees west longitude, north of Easter Island and south of the equator. This is based on the complete lack of islands in the region of the Eastern Pacific north of Easter Island. As the Earth's axis tilted and moved through a clockwise loop, the path of the subsequent electric arc would have angled up past the equator, past Australia, but might have crossed land in Southeast Asia, India, Arabia, and the Eastern Mediterranean. The arc traveled west, whereas the cloud of suspended water vapor over the Pacific, moving much slower, moved east, as all weather does. At the point where the arc reached the Eastern Mediterranean, the axis would have completed about half of its sweep, and the northern hemisphere would have started to tilt away from the Sun again and angle toward the rear portion of the Earth's orbit (the celestial west direction). This would have caused the path of the arc from Venus to now angle back to the equator, so that North Africa might have been on the path, the Atlantic would have been crossed, and landfall would be made in Central America or upper South America. The water in the atmosphere could have caused the five days of darkness. This path and the atmospheric conditions might explain the difference between the date of the start on the 14th given by the Bible and the date of completion on the 17th of the equivalent same month used in Mesoamerica. I cannot be certain of the arc's path. But certainly the effects would have been felt away from this path also. The initial shock would have been felt worldwide. With the displacement of the air with the impact, the atmosphere would have reacted with hurricane force winds in the direction away from the impact location in the Pacific. It is also uncertain how long the electric repulsive force would have lasted -- to be replaced by an attractive force -- perhaps only minutes. It was not in effect by the time Southern Asia faced Venus. "... as the Israelites continued to die in the wilderness, Moses composed the 90th Psalm, 'Lord thou hast been our refuge.' He also showed that the normal age of men was reduced to 70 or 80 years. Therefore, the age of man was shortened to a third of what it was before 1490 BC." This would be correct if we read this as "by a third" rather than "to a third," for an increase of 87 days represents a change of 30 percent in the length of the year (of 273 days). Ussher probably meant to make a comparison to the ages of Abraham, Isaac, Jacob, and Joseph which ranged from 100 to 200 years. This would account for the fact that an electric arc, initiated in the South Pacific, managed to travel across the Earth at least as far west as the Eastern Mediterranean -- over half the circumference of the Earth, representing a half day. It seems to have traveled through lower Asia and India or along the Indian Ocean, hit land in Arabia, continued through the Sinai and lower Egypt, and probably continued through the Mediterranean along the coast of North Africa, to cross the Atlantic and approach the Americas. Arabia's deserts are still marked with large areas of scorched stones. After the initial shock, Venus was seen later that day in the Middle East as a gigantic red glowing globe. We have a number of recollections and descriptions of this. The water vapor from the Pacific, traveling toward the east, had not reached the Middle East yet. If the red globe were the size of the Moon, it would have been twice as far away as the Moon is today, or about a half million miles (805,000 km). But it is more likely that Venus had a much more extensive coma, and would look huge even at far distances. We have to assume that it looked red because of local dust in the air, from arcing across India and Arabia. The globe in the sky was memorialized as an attacking demon or the God Typhon. Because Venus must have carried a much lesser coulomb charge since the contact of 2349 BC, there were no disconnected plasmoids released. Instead there apparently was a continuous arc from Venus striking Earth, as recorded by Moses in the book of Exodus and recalled later by the Greeks as the legend of Typhon. The major effect of the contact with Venus, in addition to the change in the Earth's orbit, was the addition of a massive amount of dust (from forest fires) to the stratosphere, and water vapor to the atmosphere (the result of the initial compressive contact to the waters of the Pacific and the subsequent attractive electric force). The Earth dimmed, and agriculture failed. A people "walked in darkness" for 40 years (Bible) and "a generation grew up in darkness" (Mesoamerica). The Earth had been subjected to electric arcing earlier (in 2193 BC) with a corresponding 200-year downturn in climate. The electric exchange with Venus in 1492 BC was largely moderated by the amount of water vapor in the atmosphere. The rain clouds that hung above were darkened by the nanometer dust in the stratosphere. The gloom lasted 40 years. Mesoamerican retellings mention the total destruction of buildings and villages. The coastal regions of South America must have become largely depopulated. People at latitudes further north from the strike point and the path of the arc were not directly affected, except for earthquakes, tsunamic ocean tides, and the aftermath of a "fallen sky" -- the result of massive amounts of oceanic waters vaporized and forced into the atmosphere, and held there by the failure of the Sun to break through the dust of the stratosphere. The clouds never warmed up to release their moisture and were perhaps also kept suspended by the increased electric charge of the Earth. Forty years in the desert, however, or "a generation," is a lot less than the 200 years of climatic downturn experienced in 2193 BC, or the 1500 years of shadow of 10,900 BC. Velikovsky had suggested that the two planets may have closed to as little as 6 diameters in distance from each other (48,000 miles, 77,000 km) and may have circled each other. I seriously doubt both of these. This has become part of the "collision" scenario of Velikovsky for which he has been faulted. It is, in fact, one of the few valid objections stemming from a consideration of the physics involved. "Because of the proximity of the earth, the comet [Venus] left its own orbit and for a while followed the orbit of Earth." That is just nonsense. A planet does not "leave its orbit for a while." At the time of Velikovsky's writing this was needed, despite the fact that a close approach of a planet as large as Venus was known to be completely untenable, for Velikovsky needed to account for a number of things which could only be achieved through gravitational interactions. One of these is the oceans and waters which stood up to the sky. Another is the vast destruction encountered by Earth and its people during this period -- to the point where some who recorded the event claimed that almost all humanity died. Considering the fact that humans only developed subjective consciousness after the time of Moses, we would expect there to have been a lack of descriptive memories of environmental catastrophes before this time. However, memories of stupendous doings of the Gods, which would be retold and replayed as dramas, would be remembered. And at this time, ca 1500 BC, we have already experienced 500 years of efforts at written histories -- at least as repeatedly retold "legends." Velikovsky identifies a series of events as the ten plagues visited on Egypt by the God of the Israelites. The Egyptian Ipuwer Papyrus echoes the plagues of Exodus one for one. Velikovsky proposes causes for many of the plagues based on presumptions about the comet tail of Venus, which (he claims) would have swept into the Earth's path before the arrival of Venus. The "tail" of a comet or planet faces away from the Sun. The main tail is an extension of the planet's plasmasphere and is shaped by the shadow of the Sun's electric field in the direction away from the Sun. There is a second tail of particulate matter, which curves, but it curves in a direction lagging the orbital movement of the planet Venus. This tail spreads out as the ionized particles repel each other. There is thus no tail which sweeps into the path of Earth prior to an electric field contact. There may, however, have been earlier contacts between the double layer of the plasmasphere tube of Venus and the Earth's plasmasphere. Velikovsky proposed that Venus approached Earth from the Sun side, and thus Earth at first intercepted the plasma tail of Venus. Actually, Venus likely caught up with Earth, with Venus moving faster than Earth because Venus was on an inner orbit. The edges of the plasma tail would certainly have "touched" the Earth's plasmasphere and transferred electric charges and gas ions constituting the boundary layers of the plasmaspheres. This might have resulted in changes in the weather during these earlier near alignments. Storms could have been a fact, and, as a result, Egypt would have been blanketed with dust, not from Venus, but from the Sahara. I also disagree with Velikovsky's proposed makeup of the tail of Venus. He assumes a composition of fine ferrous dust at the far end of the tail, larger particles closer in toward Venus, and then hot cinders and rocks in the tail portion closest to Venus -- as if Venus was a tossed firebrand. Although I will (reluctantly) concede the presence of dust (ionized silicon compounds) or hydrogen and methane gases (which he identifies with petroleum), the tail of Venus was a plasma -- composed of electrons, protons, and ionized atoms. The outer edges of Venus's plasmasphere tail would have had a density approaching the classical notion of the vacuum of outer space. The tail of matter was composed of ionized particles. One would at first suggest that the electrical proximity of a large planet would have also severely stressed the Earth's crust, and there are many references to this sort of phenomena in antiquity -- mountains moved and the ground swelled underfoot the fleeing Israelites, who were in the process of leaving Egypt when this occurred. (The exodus will be discussed below.) Both the Bible and the records from the Americas speak of the ground opening up and of caves closing on fleeing humans. Lava flows and volcanoes burst forth. The Arabian Peninsula lifted and folded. Indian sources speak of mountaintops being lifted up, cast into the air, and ground into dust. The land west of the Zagros mountains rose, and the Euphrates river moved a hundred miles west. South American sources speak of the rising ocean tide and the simultaneous rise of the ground as if it floated on the waters. There is no written history for the period of 1500 to 1400 BC during the Shang dynasty in China. In 1400 BC, in response to some calamity, the capital had been moved and the Shang is renamed as the Yin for its new location. The anecdotes which I have collected in the above paragraph from other sources are obviously primarily imagined to be caused by the gravitational forces of a large nearby planet, and assumed to be operating on the Earth's crust. Nearly nothing has been developed (or imagined) of the effects of the repulsive electric impulse forces operating in compressing rather than lifting the crust, followed by an attractive force, both from a great distance, and both of which far exceeded any forces which gravity could have produced at much closer distances (by a factor of billions on billions). This last would have operated on the facing crust, and cannot, like gravity, be assigned to operate on the bulk of the Earth. See Appendix B, "The Celestial Mechanics," which discusses the repulsive (and attractive) electric forces as the agent of destruction, and as the primary mechanism behind changes in orbits. Another element of the destruction was the resistance of the Earth's crust to the compressive initial shock -- but not to the gyroscopic reaction, which would have been a smooth transition. Earthquakes, in fact, probably lasted for decades. Hurricane winds were probably due both to the traveling arc and the compressive shock, not to the gyroscopic motion of the Earth. I also feel that many of the geological disturbances attributed to this era might more properly be located in the span of time of 800 to 685 BC. Last, let me assure the reader that an electric arc from 10,000,000 miles (16,000,000 km) is very possible, even if this seems like an absolutely impossible distance. First, the double layers of plasmaspheres are conductors in that they are composed of disassociated ions. It is like an electric cable. Secondly, the interior of a plasmasphere and tail of a planet is consistently at about the same electric potential, so that it also is an effective conductor of electricity. The arc did not travel through empty space. Travel over this short distance might become easier to believe when we reach 685 BC, where we will meet up with a disconnected arc from Saturn to the Sun, traveling an absolutely unbelievable distance of 480,000,000 miles (773,000,000 km). Yet Velikovsky, despite his initial claims for the electrical nature of the planets of the Solar System, was not ready to carry through with this concept. The best he could do was to produce a spark between Venus and Earth -- at which point the waters of the Red Sea, which had opened up a passage for the Israelites by standing up as a tide reaching to Venus (and imaginatively assigned to gravitational effects), fell again. The Israelites placed the climaxing event of their escape from Egypt on the night starting the 14th day of Aviv, in 1492 BC. Their day is counted from sunset. The "climaxing event" actually is not the opening of the "Red Sea" but the earlier earth shock of worldwide proportions. The opening of the "red sea" is clearly a descriptive recollection from 2349 BC, and may have had nothing to do with the ocean which today we call the Red Sea. The 14th day of Aviv, where Aviv is the first month of the year after the spring equinox (Exodus 12:18), is marked with a sunset alignment of April 19 by the Olmec San Lorenzo site built around 1450 BC (see the chapter "Olmec Alignments"), and repeated at almost every later site. Soon after the electric contact with Venus, with the Earth now much further away from the Sun, northern climates changed for the worse. The climate became cold. Grapes no longer grew in Scandinavia. The cloud cover affected agricultural production everywhere. During the first years, massive rainstorms stripped the Southern Balkans of soil and trees. Then a drought set in. The water table dropped precipitously and rivers dried up. Drought is a sure sign of a pervasive cloud cover without rain. The early European Bronze Age north of the Alps came to an end. Under the Hyksos, a new calendar was introduced in Egypt. In Mesoamerica, the Olmec culture initiated a 360-day calendar by setting up 18 months of 20 days. It was, in fact, the first rational calendar, but was used simultaneously with the older 260-day calendar of 13 periods of 20 days. Moses was given a new calendar by Yahweh. The orbit of Earth had changed. When Jupiter lost its coma in 2150 BC, the last of the older Gods had been removed from the vicinity of Earth. Only the dragon -- Venus or Quetzalcoatl -- still followed an eccentric path through the skies, closing in on Earth's orbit at 50-year intervals. And Mercury (as well as Mars, although less visible) was still seen scurrying back and forth across the skies on errands for the distant Gods and in the administration of humans. The planet Mercury was now the most active remaining celestial body. Mercury had a coma and tail which lit up; Mars did not. Mercury becomes identified as the emissary and messenger of the older Gods and was named Thoth (Egypt), Enki (Mesopotamia), Hermes (Greece, initially known as Apollo), and Mercury (Roman, but at a much later date). He became the special caretaker of humans, providing all the gifts of civilization and controlling the fate of humanity. In Egypt, Mesopotamia, and Greece, he is the God with the arcane knowledge of writing, music, mathematics, and magic. Thoth, and the others, represented those faculties which seemed unnatural to humans -- those which were not held by the Ka of the Egyptians. These faculties included the knowledge of spells and magic, and were responsible for the expansive application of writing and measurement after about 2100 BC. After the previous electric contact with Venus, in 2193 BC, the static electricity of the atmosphere had probably steadily decreased, as it also had after 3100 BC. But the remaining atmospheric static electricity was still likely to show up just about anywhere: on mountains, pyramids, the tops of columns, and the horns of cattle -- as if it were delivering messages from the far-away Gods. "Everything was in flames, the sky with lightning, the water with luminous particles, and even the very masts were painted with a blue flame." -- Charles Darwin, writing about the voyage on the Beagle, circa 1856. In the Sinai desert, Moses sees God in a flaming bush. Specifically, a thorn bush. This is important, for he notes how Saint Elmo's fire issues from the thorns and how it assembles itself into a dense core where the thorns point together. He will construct the Ark of the Covenant in a similar form -- two gilded angels on a box with their wing tips covering the Ark and nearly touching, which will be the seat for Yahweh. Yahweh is one of the gods associated with the play of electricity, but he is no messenger. He is a God in his own right. "Who are you?" asks Moses, addressing the flaming bush. "I am who am," Yahweh answers. Another reading of the Bible text is, "I am who comes." Alfred de Grazia adds "God fights," as a variation on "Downcaster" for the name of Yahweh. The Israelites were, in fact, the most ferociously belligerent nation to enter the Middle East before the Assyrians rose to power a third time. They were an army forged in the Sinai Peninsula under the tyranny of Moses and his God Yahweh. They took the Ark of the Covenant into battle as a secret weapon, terrifying their enemies. The slaughter was enormous. Many centuries later, the Philistines capture the Ark. After moving it to three different cities, they beg the Israelites to take it back. It was uncontrollable and those who approached it became ill. The Book of Exodus, as an account of these events, is not to be dismissed and needs to be read with an open mind. Take Alfred de Grazia as a guide. "There myth is cozy with history. And the combination has been fiercely, obsessively retained, as if a purely historical recollection would be unbearably painful. Although the second of the five Books of Moses, the Exodus, is the best account that we have of that year, its most ancient lines were written down under stressful circumstances; to these lines, perhaps of Moses himself, a full oral tradition was added in the course of several centuries. The materials were sometimes lost; they were copied, rewritten, amended, translated and retranslated, time and time again." Moses spent a decade in exile in the Sinai peninsula (he had killed a member of the court), married into a local Midianite tribe of herdsmen, and tended flocks. As an exile, he received insights into other gods (the people outside Egypt had, of course, different Gods) and learned from the smiths of the Egyptian copper mines of the Sinai. As a court member, he read, he wrote, he knew materials, and he performed magic. The Jews were not slaves, except in the sense that all citizens of a nation were slaves of the Gods. When they leave Egypt, they carry swords and other arms. Within the first month in Sinai, they spend a day fighting a rear-guard action against the Amalekites (Hyksos). Arms are not the hallmark of slaves. What Moses and his spokesperson, Aaron, sought of the Pharaoh was an "exit permit." The population of Israelites were an economic force and would have been pursued if they had just decided to leave Egypt en masse and without permission. Of course, at the last moment, the Pharaoh changed his mind and did pursue them. The exodus was well planned and organized. The Israelites left with the body of Joseph, and with their herds and ox-drawn carts and plenty of materials: provisions, tents, metals, forges, and lumber. They left with a mixed multitude of other squatter nationals and disaffected Egyptians. And they left with the Levites -- a cadre of Hebrew-Egyptian scribes, bureaucrats, and administrators, who would be assigned as the priests of Yahweh and the camp police. The wall of standing waters was indeed from the Red Sea and the lakes, but it stood on the land outside of the sea and the lakes. "The waters that confronted the Israelites were unexpected," writes de Grazia. Velikovsky, and thus de Grazia, followed the traditional notion that the crossing happened at Lake Sirbonis, or a similar location. James Hoffmeier, in Israel in Egypt (1997), presents various theories for a crossing of the "Red Sea," including the Gulf of Aqaba. "But the name of the Sea of the Passage -- Jam Suf -- is derived not from 'reed,' but from 'hurricane,' suf, sufa in Hebrew. In Egyptian the Red Sea is called shari, which signifies the sea of percussion (mare percussionis) or the sea of the stroke or of the disaster." In line with the lack of evidence for an exodus, it might be noted that we are presented with the following image: "the Lord divided the sea with a wall on one side and on the other as well," plus, following the passage through the gap in the water, the Israelites camp "before the mountain of God." This exactly recalls the event of 2349 BC, when the Absu -- the sea of reeds -- parted at the time of the fall equinox, followed by the appearance of Jupiter on his mountain, "the mountain of God." The "Sea of Reeds" is, of course, the Absu or Duat, referred to as filled with reeds in Egypt. In 2349 BC, during the most fearful period that humanity ever lived through, the Sea of Reeds turned red. Perhaps a rare coincidence, but such details added to Exodus, which obviously is a conglomeration of sources (as de Grazia also admits), point this particular text to legendary status. "Sandbanks was their name for the place where they crossed through the midst of the sea. Where the waters were divided, they crossed over." As narrated in Genesis: The arc of Venus moved the water into position to block the fleeing Israelites, then moved it aside for passage, only to have it fall back just as the Pharaoh and his army closed in. Exodus records that the pillar of fire stood before Israel, then moved behind them (to the west). The physical description of the changes in the winds, the movement of the water, and the movement of the pillar support the concept of an electric arc traveling west across the Sinai and part of the Nile delta. The timing as recorded in Exodus may or may not be correct. It was just sheer luck, but a most monumental event, which would be played back to the Israelites by Moses for years, even though (Jewish legends have it) a hundred thousand Israelites also perished in the collapse of the standing waters, fictional or real. The delay ("the night passed") is difficult to allow physically if this were an extra-terrestrial arc traveling west with a rotation of the Earth. And this certainly would not have happened at night. The arc from Venus could only happen during daytime. It is possible that the day had extended into the night hours, as a number of nations recall. This would be due to the gyroscopic reaction torque twisting the axis of the Earth in a circle to compensate for the initial shock from Venus. China complained of the Sun not setting for some 5 or 10 days. It is interesting to consider where the axis of the torque of the gyroscopic reaction might have intersected the Earth's surface. This had to be near the equator to be at right angle to the rotational axis. Five days of sunlight in China can only mean that the Earth had tilted over so far that the North Pole faced the Sun. As the Earth rotated, large portions the northern hemisphere, including China, would have remained in daylight. The Exodus narrative claims the arc appeared near northern Egypt and to have come to a standstill. This could have happened as the rotational axis of Earth started to move to an upright position again. It would have to be daylight, however, and the region would have faced the Sun in order to experience the arc. The arc could have been located in the Mediterranean, for a continuous arc on land would have bored gigantic holes, and been very destructive. Placing the arc in the Mediterranean also suggests the spectacle of water standing up to the heavens, except that it would have been steam rising thousands of miles up, not water. Except for the drowning of the Pharaoh's troops, there is no notice of a flood of cascading water. So, despite what Exodus claims, it was daytime in Egypt when the arc appeared. The darkness may have been from dust electrically removed from the surface and whipped up by the tornado winds surrounding the arc, to be levitated electrically by the magnetic field surrounding the arc. Tornadoes operate exactly in this manner. But the length of days and night were in disorder, as Iranian myths also claim (notes Velikovsky). "Moses could hardly have imagined the horrible immensity of the natural catastrophe. A legend recites that the plague of hail in Egypt had [also] brought great famine to Jethro's Midianites [in the Sinai]. Upon arriving in his 'promised land' [Moses had not originally meant to move to the Sinai] there was little left there but parched earth, dry water holes, flaming mountains, and, Thank God, Yahweh. By now Moses and the leaders must have known that they could go nowhere until they were in better shape all-around and the natural forces had become subdued." "By that time, Moses must have been as fanatically possessed as any man could be, insane with the problems of a people clinging only to hope and staring wild-eyed and worshipfully at alternative hopes. Whatever he did had to be quite mad. But what he did was rational unto the occasion. He insisted upon his obsessions. He exercised his talents, and those of the Levites and Aaron, and all the capabilities of his instruments. "He worked Yahweh, the Lord, furiously, wrenching from this Great Father Figure concession after concession, arrangement after arrangement, law upon law, giving up in the end only his right to cross the Jordan River into the Promised Land [Canaan]." The actual crossing of the "sea of reeds" has been disputed endlessly by scholars and bible exegetes. It doesn't really matter if nearly all of this sea-crossing description in Exodus was taken from the event of 2349 BC. It probably has little bearing on the overall narrative which is about a people escaping from the servitude of one religious observance and adopting a new and more consistent alternative. With the previous electric contact by Venus in 2193 BC, the atmosphere had been heavily charged with electricity, although steadily decreasing over time. All along priests had been taking advantage of the atmospheric electric charge as a sign of the presence and favor of the Gods. This was a real phenomenon. Recall that Abraham in his sacrifice of a ram discovered he had no way to light his fire, but God ignited the kindling for him. This practice dates far back into remote antiquity, although all we have are more recent descriptions which only hint at the fact that offerings on altars on high places would ignite themselves. Aurochs horns had traditionally been used at altars to ignite the flame with electric arcing. But this is the Bronze Age and altars were now clad in bronze with bronze horns. This material conducted much better than cattle horns on stone platforms and overcame the mounting deficiency in the atmospheric electric charge. After completing the Ark, the Israelites build an altar for offerings. It is made of wood sheathed in thin bronze, with bronze horns at the four corners, facing in towards each other. Yahweh provides the plans. Moses asks Yahweh, "Will it not melt?" There was difficulty getting it to light, but once a spark generated between the horns it stayed lit for over 100 years. The Midrashim records that, when the building of the Ark was completed, the sky stopped moving. The contact with Venus had disturbed the axis of the Earth, causing the spin axis of Earth to sweep through a loop. The sky came to a complete rest a year and a month after the Israelites passed through the Red Sea (Ussher). The "moving sky" relates only to how the dome of the stars was seen with respect to the horizon. Or it could have been determined by where the Sun rose and set -- one has to assume that even with a heavy overcast, at least the Sun was noticed. The movement of the stars, on the other hand, would change only as the result of a change in the inclination of the axis of rotation to the orbit of Earth. No other change will make the stars look like they have moved (except, of course, the daily rotation of the Earth). Because of the immense distances to the stars, the stars will look the same no matter what orbit Earth takes around the Sun. It is possible, although unlikely, that the Earth's rotational axis kept up its corrective gyroscopic maneuver for a year and a month. The repulsive impact was close to the equator, and resulted in the largest displacement of Earth that we have a record of. Venus was half as far away as in 2349 BC, which would have doubled the force of the impact. But the gyroscopic reaction torque was much slighter than usual, moving the arc contact up only 30 degrees in latitude and 180 degrees in longitude (from mid-Pacific to Egypt), in the time span of a half rotation of the Earth. However, a number of anomalous circumstances might be explained if we assume that the gyroscopic reaction torque completely or almost completely inverted the Earth. Then it might take a considerable amount of time to rectify the location of the rotational axis of the Earth in space. But this was not likely to have happened. It only appeared to be such. We can blame the lack of light and the change in climate for people to have reached this conclusion. One of the anomalies was the reports that winter followed spring, which would be true for an inversion, but also if the correction took a year. But an extensive cloud cover, and the relocation of the Earth to 30 percent more distant from the Sun would certainly result in the same impression. The Ipuwer manuscript reads, "The land turned over like a potter's wheel." But that makes no sense. Potter wheels do not turn over, and the quotation was altered by Velikovsky to include the word "over." Velikovsky also quotes a pyramid text as "the luminary [Velikovsky's words] ceased to live in the occident, and shines, a new one, in the orient." The pyramid texts date to after 2350 BC, so this is not concerned with the period of the Exodus. The text, in fact, describes the changes in 3147 BC -- typical of Egyptian spells, this is not a narrative concerned with the event of 2349 BC, only the remembered event from the remote past. The "new one" here is Jupiter, which rose in the east, replacing Saturn which had stood in the northwest, and brightened at nightfall in the northwest before traveling east below the polestar. The extensive cloud cover is still a concern, for the notice of a generation "growing up in darkness" or the Bible complaint about "walking in the shadow of death," would presume that the stars could not be seen. However, the Sun and Moon might certainly be seen, and these would only indicate that the sky was moving in unexpected ways. In any case, it could not be guaranteed that the Earth would return to its original inclination. Thus it is likely that the 30 degree inclination of the rotational axis dates from this event. My earlier suggestion in the Chapter "Pyramids and Henges" is that the Earth's initial axial inclination was 25.2 degrees. "The ground ark, unlike the pyramid or mountain altar, makes its own divine fire. It does not depend upon a single point high up to provide the electrical discharge. In a small machine, grounded by one pole and pointed to the sky at the opposing pole, the two being insulated from each other, an opposing charge is accumulated at the poles and, when sufficiently charged, the poles exchange a spark, a light, a divine fire. Unlike the pyramid, or mountain, the Ark can be moved to where its sources of strength are greatest and its effects can be most affective for psychological or other purposes." However, the Ark operated as a device using static electricity, not as an electric circuit. There is no need to electrically isolate the two cherubim. They will arc between their wing tips even if electrically connected. Rather than using stone and an extremely high location, the Ark would have displayed Saint Elmo's fire because it was made of metal and set on a clear flat space. The Ark depended on being a highly conductive object set on a grounded flat plane and thus, in effect, a lightning arrester. When the ground was soaked with water, the minerals in the ground would turn the surrounding area into a conducting surface. When transported at a later date from Shiloh to Jerusalem, the Ark was temporarily located on a "threshing floor" to keep it operational. It was a matter of finding a location where the ground was flat and conductive. Moreover, it can be suggested from the construction details that, in effect, the Ark was a Leyden jar, a large capacitor, which means that it could store enormous electric charges (at a potential of 10,000 or more volts). Not just a Leyden jar, but more like a Van de Graaff generator. A Van de Graaff generator is generally constructed as a metal sphere, where a trickle of static electric charges is introduced to the interior through an opening. The delivered charge accumulates at the interior of the sphere. This induces a charge of opposite polarity on the exterior, allowing the delivered charges to be continuously accepted. A Van de Graaff generator is able to hold large charges at very high voltages. The Ark was often carried far ahead of the people in the desert. At night a visible stream of light would rise like a beacon from the Ark. During the day it would look like a diffuse cloud column. This was the column which went before the Israelites day and night. It was a function of the exceedingly high atmospheric electric charge, as might be expected since the Earth had received a recent electric discharge from Venus. Other nations might very well not have noticed that, under these new conditions, a simple metal box with up-pointed spikes set on a grounded plane would do what in previous years had required tall stone structures. As a weapon of war, the Ark would have been seen by the enemy as the approach of the God of the Israelites -- frightening the inhabitants of besieged cities and the troops of opposing armies. The visible acts of Gods were undisputed in antiquity. When the Ark was moved to the temple at Jerusalem in 900 BC, after having been outside in a tent on the plain of Shiloh for 512 years, the displays of static electricity had declined noticeably. The electric display may have started to falter. Josephus says the electric fire stopped in the first century BC -- after 1400 years. "In reality it was the catastrophes of the world whose terrible stresses made hallucinatory leaders out of borderline cases and staunch believers out of normal people." This serves to support de Grazia's extensive analysis of the politics of the exodus and the psychology of Moses. But as Jaynes had warned, de Grazia is unable to distinguish a bicameral mind from a fully functional human and de Grazia's description of Yahweh reads almost exactly like a bicameral Moses. Yahweh is Moses, but as the separate right hemisphere of his mind. In effect Moses had a split personality. This is, in fact, how Jaynes defines the bicamerality of the mind -- the independence of the right hemisphere which can guide the verbal left hemisphere and which, in earlier times, would order the other half around verbally. Even today the right hemisphere imposes itself completely on schizophrenic individuals. The rest of us, having learned to silence the voices, still frequently hear the right hemisphere as the unvoiced utterings of oughts and shoulds -- "close the door," "turn off the light," "do you have your keys?" Moses, as a pre-conscious human, was guided in what he did by the right hemisphere of his mind and experienced this as a separate "being" who spoke to him. When de Grazia writes, as above, "it was the catastrophes [which] made hallucinatory leaders out of borderline cases," he is entirely correct in that the events of the period were certainly stressful, but those are also the conditions which foster subjective consciousness. Jaynes has noted (without any reference to worldwide catastrophes) that this period saw the first light of subjective consciousness in individuals, first in bemoaning the failing presence of the Gods and their guidance, and then as a reaction to the press of strangers. These were only two facets in the series of unpredictable events and novel conditions which changed us as humans. The only "evolutionary" solution was to engender the ability to imagine what might happen in these new situations. Allow me to quote from de Grazia extensively, for his source document, the second book of Exodus, is important. The writing in Exodus is personal without being self-serving, and is a rare window on an age which changed humanity. The nexus of catastrophe and the human mind, desperately seeking to resolve the unpredictable, is key to understanding how we, within the next thousand years, became fully human -- that is, how we evolved subjective consciousness and started teaching this to our children, silencing the demanding and controlling right hemisphere, and, most importantly, how we came to rely upon the imagined spaces of consciousness in the left hemisphere to help us live in the changing world. "The abrupt commands of Yahweh, his great noises, curses, and marvelously clear consultative advice enrich the verses of the Books of Moses. The lack of explanation is typical of both hallucinatory voices and of Yahweh's words." "Yahweh says and Yahweh does. What he says consists of describing himself, expressing his emotions, relating what he has done, instructing as to what must be done, and foretelling what he will do." "All that Yahweh says is in an absolutely authoritative mode. This includes those expressions which comment upon behavior that is against his will or interests." "What Yahweh does, supplementing what he says, is to cause all things to happen, even expressions of disobedience coming out of 'free will,' in the sense that if he wished to do so, he could make people will what he wanted them to will." "He even asserts a power to be bad, to do evil. He is not bound by notions of good or evil. 'Who makes peace and creates evil, I Yahweh do all this.'" These observations by de Grazia are completely archetypal and descriptive of the right hemisphere of the brain, and you will recognize them instantly if you are familiar with Jaynes's research on schizophrenia, hypnosis, talking in tongues, complex automatic activities, and the narratives of antiquity. "Yahweh writes; he organizes lists or rules; he keeps books; and little else that is technical; he is the product, not the fountainhead of the science of Moses." "Write this in your book," Yahweh commands Moses. The organization of lists and rules is also archetypal of schizophrenia, but the phrase "little else that is technical" is not quite fair. Typical of a right hemispherical presence -- the hallucinating voice -- Yahweh is quite accomplished technically. He explains to Moses the new calendar. Moses has to return to Yahweh with questions, for he does not understand. It is Yahweh who designs the Ark, and sets all the safety requirements for the attending priests, their clothes, the procedures, the curtained tents, and all the altar appurtenances. However, it is certainly correct to say that Yahweh was "the product of the science of Moses." As with us, the right hemisphere of Moses's brain had access to all that he had learned, and as with us, the right hemisphere could draw together physical concepts and synthesize disparate parts into a working whole -- in short, solve problems -- and then deliver the solutions to the conscious left hemisphere, as if out of thin air. And Yahweh is quite well aware of what problems Moses is capable of solving without help. At one point Yahweh demands an Ark design with red, blue, black, and white fire. Moses asks how this might be done, and Yahweh, in a fashion absolutely typical of the annoyance often displayed by the right hemisphere today, answers, "I fabricate my glory; you make your own colors." De Grazia took this anecdote from a secondary source which quoted some Midrash tradition. The Midrash is the collected Jewish commentary on the Bible, originally oral, but reduced to writing after the second century AD. It thus constitutes a comment some 1600 years after the Exodus. The colors, except for blue, are the same directional colors as will be found in the Maya Chilam Balam, which suggest that these are the four fires of the cardinal directions, "the four ancient khu's who dwell in the hair of Horus," or, as the Chilam Balam has it, the four directional trees. As I have already suggested in previous chapters, these are likely to be the polar plasma plumes in the north and south, and the edges of Van Allen belts in the east and the west. The colors here match the colors of the trees of the cardinal directions described by the Maya, except that blue is substituted for the Maya's yellow of the south. (I am assuming that the order of the colors follows the rotation among the compass points.) The assignment of colors to compass points also occurs in China, in Central Asia, and among North American and Central American tribes. No two sets of colors are assigned to cardinal points the same way, however. "Since meteoric showers, great and small, are understood to be debris entrained by comets, Velikovsky took the next logical step by gleaning the Bible and associated Talmudic sources for evidence of a comet during Exodus and Joshua." "It was then that the 'mysterious pillar' became the tail of the protoplanet Venus." "Because of the proximity of the Earth, the comet left its own orbit and for a while followed the orbit of the Earth. The great ball of the comet retreated, then again approached the Earth, shrouded in a dark column of gases which looked like a pillar of smoke during the day and of fire by night and the Earth once more passed through the atmosphere of the comet, this time at its neck." "It has been for some time this author's opinion that this 'mysterious pillar' is not a comet's tail, but the Earth's north and south magnetic poles illuminated by the joint action of electric discharge and the commingling of Earthly and cometary gases. In other words, a giant aurora." A plume of plasma in glow mode at the magnetic poles would be a much more likely candidate. Auroras don't behave like polar pillars. I have already described the polar plume as extending 20 Earth diameters up into the plasmasphere (160,000 miles, 260,000 km), and thus visible from anywhere on Earth. Auroras do not extend more than 300 miles (500 km) above the surface of the Earth and do not assume the shape of pillars. The coloration of auroras is limited to the atmosphere and stratosphere, where Oxygen and Nitrogen are encountered. Zysman is correct, however, in locating this at the magnetic pole. "But it was (over) the whole world that Ah Uuc Cheknal [he who fertilizes the maize seven times] was set up. He came from the seventh stratum of the earth, when he came to fecundate Itzam-kab-ain, [the Earth] when he came with the vitality of the angle between earth (and) heaven." Roys suggests another translation of the last line ("when he came ...") which reads, "then he descended while the heavens rubbed against the earth." This looks like the sixth appearance of the "Celestial Cow" -- with the Van Allen belts in glow mode. During Moses's 40-day absence, while he was communing with God on the Mountain of the Law Giving, Aaron manufactured the Golden Calf idol for the impatient Israelites. "Here are thy gods, Israel, the gods that rescued thee from the land of Egypt" -- Exodus 32:4. ("Elohim" for "gods".) The calf did not last long, for when Moses returned from the mountain, he destroyed the Golden Calf. This may be an indication of how long the Celestial Cow stood in the skies after first appearing sometime after 1492 BC. The Golden Calf, as the Hathor Cow, was an Egyptian false Goddess to Moses. Which may also be why it did not last very long. When Moses came down from the Mountain, he carried the Ten Commandments, all the laws, and all the design details of the Ark of the Covenant which was to be the seat of the God of Israel. He destroyed the Golden Calf. Of all likely possibilities, the snake as representing the north polar plume seems most likely. Inadvertent research by NASA have discovered the polar plumes to consist of dual (entwined) plasma columns. We can suggest from the three-year delay, that this hints at how long the polar plasma plumes may have lasted. "It may have evaded the scrutiny of even the most assiduous Velikovskians that there is very little direct evidence for the appearance of a comet during both the Exodus and the Joshua stories. All the indicators of a great meteoric shower are in place and it can be argued that any well-informed tribal leader or court magician would have little trouble inferring its involvement, yet we have no specific mention of a comet being observed before or during the event." Let me comment on that. I doubt very much if this was an asteroid shower so extreme that people throughout the regions migrated en masse for that reason -- the Greeks (Ionians), Dorians, Phrygians, Carians, Lycians in the Eastern Mediterranean, the Mitanni, Hyksos, Hebrews, Kassites, Persians, in the Near East, and the Central Asiatics into Pakistan, India, and regions north of the Himalayas. What were all these people fleeing from? Ice cubes and snowballs falling from the sky? Such a shower never returned, yet the migrations continued for hundreds of years. Primarily they were all attempting to escape from the dreadful climate which followed on 1492 BC. Over the next hundred years the grass of the steppes turned brown, the central lakes of Asia dried up and turned into deserts. They headed for what they knew to be the fruitful agricultural lands of the civilized nations which were largely unprotected. Joshua did the same. As the cloud cover starts to lift, and after forty years of wandering with their herds throughout Arabia, the Israelites started the invasion of Canaan from the east. They crossed the Jordan on a dry bed, for an earthquake had just blocked the river with a fallen bank. It was seen as a display of the favor of their God. During this period earthquakes still occurred frequently. The Israelites proceeded with the invasion of Canaan, a war which would take 14 years. Near the end, in about the 12th year, Joshua orders the Sun to stand still in the heavens for the span of a day to allow completion of a battle. During the same battle stones fell from heaven. "And the Lord cast down great stones from heaven upon [the Canaanites]; they were more which died from hail stones than they whom the children of Israel slew with the sword." According to the [Septuagint] version "the Lord struck them (the Amorites) with a panic, on account of the children of Israel, and the Lord routed them, with a great slaughter, at Gibeon. And they [the Israelites] pursued them by the way of the ascent of Oronim, and smote them. .. And as they were fleeing from before Israel, at the descent of Oronim, the Lord poured a storm of hailstones from heaven upon them... so that there were more who died by the hailstones, than the children of Israel slew with the sword in battle." Josephus, in about AD 100, adds "the discharge of thunderbolts and the descent of hail of more than ordinary magnitude." The Pharaoh [Thutmose III] obviously spent the night at Beth Horon the Nether (today: Beith 'Ur et-Tachta), right at the entrance to the dangerous part of the defile, which is already in the mountains. The next morning, according to the Annals [at Karnak] (lines 58/9), "My majesty proceeded northward carrying my father Amon [lacuna] before me...."
This is the only instance I know of in Egyptian records where we are told that statues or images of the gods were carried into battle, as the Hebrews carried the ark. What kind of fear had gripped the Pharaoh that he felt it necessary to take this precaution? Why did he take it here, and only here, once in a lifetime? The objective difficulties of the way ahead of the army were considerably less than those which had confronted, and been overcome by, the Egyptian army in [Ethiopia], where mountains 10,000 feet (3000 meters) high rose sheer above narrow canyons filled by torrential streams. Danelius had received a bolide of the type that apparently had fallen "at that time and place, according to the Biblical record" from H. H. Nininger, founder and director of the American Meteorite Museum. When I showed the aerolite to the stonemasons working by the roadside at 'Ur et-Tachta (Beith Horon the Nether), they immediately recognised it: "Hajar min 'Allah!" ("A stone from Allah," i.e. from heaven), they exclaimed. According to them, the slope going down into the wadi, and the wadi itself "the going down to Beth-Horon" of the Bible, were full of stones like the one in my hand. The same answer I got from the teachers at the local schools. Though this cannot be called conclusive, the amazing familiarity of the local Arabs with the phenomenon of meteorites seems to justify the conclusion that the Biblical story is based on reality. As Nininger [of the American Meteorite Museum] and other experts have abundantly proved, meteorite falls have been known and remembered for centuries among local populations, and more often than not considered intervention of the God(s) in human affairs. And here we meet with a second conception of those times: the understanding that there was a metaphysical connection between a God, His people, and His land. Thutmose was not afraid of a human enemy but was reluctant to enter a road where "The God of the Land" had intervened, from heaven, to help His people; and Thutmose perfectly understood the motivation of his officers who preferred one of the other defiles, and neither blamed them nor punished them, but let them choose. And this fear, too, explains why he had the standard of "his father Amon" carried before him: Amon was a meteorite god, able to protect his children from a calamity similar to that suffered by the five Amorite kings. Velikovsky, who estimated the date of 1440 BC, had some problems bridging the gap between the exodus and the order by Joshua for the Sun to stand still, feeling the need to span 52 years, which is a figure he derived from Mesoamerican sources. Celebrations of the renewal of creation in Mesoamerica were based on 52 "Tun" years, which varied with the calendar in use. But after 1492 BC the actual period between apparent close "approaches" of Venus was 50 or 51 solar years. The actual event of Joshua thus occurred in 1442 BC (1492 less 50). Details are given in Appendix B, "Celestial Mechanics." It was a transitional period not only for the Israelites, who would continue to cling to their one God, but also for other peoples, who felt abandoned by their many Gods of old. Mercury seemed to have remained. Mars possibly was not seen since it had no magnetic field or atmosphere to support a coma. Mercury's duties (as Thoth of the Egyptians) were extended to include creation and guide for the dead. The period after 1500 BC saw mass migrations of tribes in Southeastern Europe, Greece, Anatolia, Iran, and the Arabian peninsula. The volcano on the island of Thera in the Aegean explodes during this period, sending a tsunami 600 feet (200 meters) high towards the coast of Greece and Asia Minor. The harbors and quays of Crete, just south of Thera, sank below the level of the ocean. In Mesoamerica, pleading with the Gods includes the periodic destruction of temples and monuments and their rebuilding or overbuilding. This starts after about 1300 BC by the Olmecs and continues into the era just prior to the arrival of the Spanish in AD 1500. We have to presume that the bloodletting, which so characterized Mexico at the time of the Spanish arrival, also had its genesis at this time, although I will suggest later that this probably started after 685 BC. Fifteen hundred years earlier, mankind had been cast from Paradise but had been sustained by the guiding voices of the Gods. As subjective consciousness bloomed in response to the catastrophes of 1500 BC, and especially to the disorder of wandering tribes, the voices disappeared. Laments for the loss of the personal Gods were added to the literature of the Middle East after 1300 and 1200 BC. They are echoed in the oldest book of the Bible, Job, as in the Ludlul bel Nemegi. Middle Eastern dating is based on comparison of pottery and other objects with Egyptian wares. This dating in turn is based on the various fragments we have of the list of dynasties and pharaohs prepared by Manetho in Ptolemaic Egypt. The original text is lost, but it is quoted partially by many authors in antiquity. The chronological sequence was set out in the 19th century, and is incorrect by about 400 to 600 years, mainly the period of 1200 to 700 BC. Thus the archaeological date of 1200 BC, when all cultural activity in the Middle East came to a sudden halt, is actually 800 BC. This accounts for a gap in the archaeology of Greece called the "Dark Ages of Greece," after which material culture (of the Mycenaean Greeks) picks up in 700 BC exactly where it left off in 1200 BC. This missing era includes such quasi-mythological adventures as the Trojan War, the exploration of the Black Sea by Jason, and the Dorian invasion. The "Dark Ages of Greece" extends to all of the Middle East. The Greek and Roman historians of 2000 years ago disagree completely with this chronology. Many archaeologists prefer pottery shard dating over Carbon-14 dating, especially because inspection of shards is much less expensive and Carbon-14 dating was entirely destructive until recently. If the dating by pottery shards is correct, it should also be more accurate (if the pottery dates don't hinge on a fictional chronology), for there is an almost complete year by year known sequence of, for example, amphora used in the wine trade by the cities of export. I originally suggested that Hutchinson must have used Carbon-14 dating, so that the approximate dates of 1400 BC and 700 BC could be accepted. But this, I now realize, is a coincidental extension of the "Dark Ages of Greece," although the quoted dates of 1400 BC and 700 BC fit my narrative of the incident of circa 1500 BC. Alfred de Grazia, in The Iron Age of Mars (2nd ed. 2009), concurs that these dates may indeed reflect the devastation by Venus in circa 1492 BC and the later destruction by Mars starting in 806 BC. As an example of an 8th-century BC destruction, consider the excavation of Troy (Hisarlik). Four- to six-foot deep layers of burned material were found here, as in many other cities (citadels). No ashes from forest fires or from a volcanic eruption have ever exceeded six inches. This suggests simultaneous forest fires and hurricane winds. It suggests, in fact, the deposition of wind-carried burnt materials, including soils, specifically to hilltop locations. Using the kinetic energy of Earth based on the forward orbital speed (only), the change of 1500 BC amounted to four times the change (loss) in energy of either 3147 BC or 2349 BC. The disturbances of 747 BC, by comparison, represent a change of only 1/8th the magnitude of 3147 BC. I have probably overemphasized Quetzalcoatl for Mesoamerica, except as recognized from his properties. With the Mexica, at the time of the Spanish invasion, Quetzalcoatl did not have much standing. Not so, however, with the Maya. Neith probably represents the southern ball plasmoid first seen in 10,900 BC. The crossed arrows (or shuttles) used as her identifying name represent the beams of electrons shooting like arrows past Earth. Seven approaches by Venus are noted in the Maya Chilam Balam, of which four can be assigned to the period of 2349 BC to 2193 BC. This is also the only period of time when the interval between approaches was actually 52 solar years. There is good reason to believe that the orbit of Venus crossed the orbit of Earth until 1492 BC, but not afterward. In 1994, Lynn Rose and Raymond Vaughan calculated, on the basis of the Assyrian clay tablets known as the Venus Tablets of Ammizaduga, dating to the 7th century BC, that the eccentricities of the orbits of Venus and Earth were still 0.15 and 0.10 respectively before 670 BC (reported at the Kronia Conference, Portland, 1994). This suggests the possibility that in the 7th century these orbits did not cross. A calculation can be made of the perihelion and the aphelion (the closest and furthest distance from the Sun) of the orbits of Venus and Earth for various estimates of orbits (based on calendar information) since 3147 BC. This reveals that the orbit of Venus could have overrun the orbit of Earth, although this would only happen if the orbits of Venus and Earth precessed (rotated about the Sun) to a relative location around the Sun where the perihelion of Earth coincided with the aphelion of Venus. See Appendix B, "The Celestial Mechanics" for estimates. Thus in more remote antiquity, at long intervals, and probably for periods of hundreds of years, Venus would appear as a planet on an outer orbit. Rather than remaining within some 30 degrees of the Sun, Venus would move across the night sky from horizon to horizon (rather than to just show in the early evening and before morning), as other planets do. Normally, because of its brilliance, Venus would have been seen during the day also. This infrequent appearance of Venus beyond the orbit of Earth explains the strange Sumerian legend where Inanna (Venus) visits hell or the netherworld (Inanna's Descent to the Nether World). The "netherworld" is the zodiac of the south skies, of course. In the legend she is stripped of her garments (loses her coma and tail), losing one garment at each of seven gates (the rings of the Absu), and her body is hung from a hook (came to a visual standstill), to be rescued later. If Venus moved beyond Earth and further away from the Sun, the coma and plasma tail would certainly reduce. Even moving away from Earth would seem to do this visually. In line with Earth, the tail of Venus would not be seen. The movement through "seven gates" (the Absu) places the story in the southern skies. To be "hung from a hook" implies that a foreshortened plasma tail would have pointed up (or down), away from the location of the Sun 180 degrees removed in the zodiac. But being "hung from a hook" is actually a better simile for the fact that the trajectory of Venus would be slower than that of Earth at this location, and Venus would have been seen in retrograde motion (as Earth passed Venus) and thus seemingly to come to a stop. This happens today with Mars. It is suspected by some that Venus might have turned over at this time, so that she started to rotate backwards, as is the case today. I doubt that this happened. As a satellite of Saturn, Venus may never have had much of a spin. The earliest iconography seems to indicate that Venus was already spinning backwards. Because of Venus's extremely dense atmosphere (almost like an incompressible liquid), it is possible that it did not experience the electric repulsive impulse on one hemisphere, which would have changed its orbit. If the atmospheric shell absorbed the shock, the pressure might have spread entirely around the planet, compressing the more rigid inner sphere of rocky material equally in all directions instead of moving the planet in space. It is also possible that a significant part of the atmosphere was simply blown away from the planet. Venus, in fact, seems to change its orbit very little over the course of 3000 years. See Appendix B, "The Celestial Mechanics" for estimates of the length of the "Venus cycle" from various periods between 2349 BC and today. A Pacific Ocean impact might be confused with the Eltanin impact site in the far Southeast Pacific. The Eltanin impact is apparently the only "impact evidence" ever found in an ocean, aside from craters at the continental slopes. The Eltanin impact dates from 2.15 million years ago. This was first detected (in 1955) via ocean bed iridium and displaced diatomic material (ocean bottom sludge). An impact site was determined in 1966 as an 82-mile (132-km) diameter area, in 3-mile-deep (5-km-deep) water. A compressive impact to the ocean, because water is incompressible but very fluid, would leave no evidence aside from tsunami damage to the continents and possible transverse impact to adjacent continental slopes. The impact of 1492 BC was likely experienced near the equator, since this would have happened "in early spring," as Exodus records. The line extending from the Sun via Venus to the surface impact site would have passed below the equator, thus moving the southern hemisphere south, that is, away from the Sun. It might be suggested that the very large displacement of the Earth (to a new orbit) was entirely due to the fact that the impact location produced very little of a gyroscopic reaction. Rather than the impact energy being absorbed by a gyroscopic response, it was transmitted directly to the center of the Earth. The suggestion that Lake Titicaca was lifted to its present elevation of 12,500 feet through some unspecified catastrophe was made by Velikovsky in Earth in Upheaval (1955). The archaeological record would have suggested that this would have happened in historic time, after Tiwanaku (Tiahuanaco) was already built. But the archaeology of this site, the conditions of local agriculture (abandoned terraces at the snow line, sterile conditions, "maize will not ripen"), or geological details (raised beaches, slanted strand lines, marine crustaceans) cannot sustain this. It seems more reasonable to suggest that the Alto Plano and the Andes mountains were raised maybe 3000 or 4000 feet (1000 to 1500 meters) by the intrusion of magma below the established Cordilleras. What is more convincing is the occupation of the site after 1400 BC and a thorough exploitation of the available agricultural conditions, not the least of which is that the large lake acts as a heat sink -- in a manner also found to be in use on the eastern slopes of the Andes in the same region, resulting in the ability to sustain a population of a half million or more. Tiahuanaco was built after 800 BC. A drought in about AD 1000 ended the preeminence of the site. It is possible that the Andes moved up in response to the compressive shock in the Pacific. Even though water is an incompressible liquid and the shock would have transferred to the underlying sea bottom, it would also have radiated out from the location of the impact. But I think the occurrence of marine specimens in lakes of the Andes provides the most solid evidence, and that only as evidence of a giant tsunami from the ocean. Earth: 2 * pi * 0.83 * AU / 273 = 1.77 million miles per day. There was near continuous arcing in 1492 BC, unlike the electric contact in 2349 BC which consisted of discrete plasmoids. But the lifted water vapor which started to cover the skies would have cut short the electric arc. West of the impact location (Asia and North Africa) the arc would have touched down, but after crossing half of the Atlantic, it would have mostly dissipated at the cloud cover which was moving east from the Pacific. If Earth and Venus were on circular orbits, they would not have approached closer than 10,000,000 miles, (0.83 - 0.72) * AU = 10,230,000 miles (16,473,000 km). I have used Velikovsky's claim for the "scorched stones" of Arabia. But it might be suggested that this happened in 685 BC, when Assurbanipal notes Venus as "raining fire over Arabia." There is a very large secondary literature following up on the hints first supplied by Velikovsky's Worlds in Collision (1950). Talbott dismisses Velikovsky's findings, arguing that the "story" of Exodus is largely a formal repetition of elements taken from the events at the end of the "Era of the Gods," but Talbott and his group have never described this ending event. I did. It is probably true that the older story-constructs were bound to be reused for later events. I have, in fact noted this for the Exodus described in this chapter. It is overwhelmingly obvious. Velikovsky notes that he had trouble deciding whether to attribute events of 1492 BC to Venus or to Jupiter. He settled on Venus and stated that in the end he was completely convinced. But I am, at times, not completely convinced. Reading Worlds in Collision with the development of the Saturnian Theory (as developed in this text) and the plasma information in mind, you will be able to detect when his sources substitute Jupiter for Venus, or when the more likely alternative reading would point to Saturn rather than Jupiter. There are actually sources pointing directly to Jupiter as the agent of destruction, but these are few and probably erroneous, for an electric interaction with Jupiter would have been wildly destructive, as we saw for the event at the start of the Younger Dryas. More frequently Velikovsky uses sources which are obviously from the 8th and 7th century BC, and applies them to the events surrounding the Exodus of 1492 BC. This includes quotations from the Hebrew prophets, the 7th or 6th century Zend-Avesta, quotations from Assurbanipal which are obviously contemporaneous with his reign, and the use of the Venus Tablets of Ammizaduga. Unlike the misidentification of Jupiter for Saturn, these are more serious faults. I also have objections to the frequent application of "modern physical understanding" to ancient texts when these texts are not at all clear. Velikovsky tends to read many phenomena as "meteors" when in fact this is often completely unwarranted from the textual descriptions, and the phenomena would better be left as unexplained. Frequently also texts are taken to be metaphorical (analogical) understandings, which seems totally uncalled for. Similarly with a number of quotations to the effect that dawn and sunset were interchanged at this time. In fact, if you turn the spinning globe of the Earth upside down, you will find that the sun still rises in the east. Similarly, the period of increased night or day is due only to a change in the location of the Earth's axis. Spin does not stop, for the amount of energy required to bring rotation of the Earth to a stop is a trillion times greater than it would take to turn the Earth upside down. But the gyroscopic reaction of the Earth to an external torque will cause the spin axis of the Earth to rotate through a circle and the Sun will seem to stand still, depending on where you are located on Earth. The reaction to an external torque is a twist (torque) with the axis of the torque at right angles to both the spin axis and the axis of the applied external torque. The gyroscopic reaction will be smooth in starting and stopping, and cause only minor geological disturbances. Seismic reactions to the initial shock will be violent and longer lasting. Neither Velikovsky, nor any of the later researchers (except one), have considered gyroscopic reactions. The notion of the Earth turning upside down, or that the pole relocated, is discussed in the Appendix "Polar Relocations." "[T]he relative lack of impact [that the influenza epidemic of 1918] left on literature may not be unusual at all. It may not be that much unlike what happened centuries ago. One scholar of medieval literature says, 'While there are a few vivid and terrifying accounts, it's actually striking how little was written on the bubonic plague. Outside of these few very well-known accounts, there is almost nothing in literature about it afterwards.'" The Black Death (bubonic plague) of the 14th century AD killed half the population of Europe. Although repulsive electrostatic forces operate between planets enclosed in a single plasmasphere initially, a difference in charge between the planets will also be seen as a voltage difference (easily amounting to millions of volts), and especially as the charge of the facing hemisphere of the secondary is induced to an opposite polarity from the primary. This will cause an attempted charge equalization, resulting in an arc from one planet to the other. The arc, to avoid increased resistance, will travel between the nearest surfaces thus impinging at a right angle to the surface. The arc will not remain at one surface location, but will move, as the planet rotates, to an adjacent region as that region comes closer, and will attempt to hang up (slow or stop) at locations of higher elevation. The Earth in rotation moves at a rate of about 500 miles per hour (800 km per hr) past the arc at mid latitudes. The production of the arc is entirely equivalent to terrestrial lightning. As negatively charged clouds pass over the Earth, electrons are chased away from the surface below the clouds, thus increasing the voltage between the clouds and ground. "... in a throw-away comment, Plutarch mentions that according to Eudoxus, Typhon (Egyptian Set or Seth) had 56 angles and that Pythagoras assigns the number 56 to Typhon." -- Apr 20, 2008 12:02 pm; in a thread "dating," which has since been removed. I would have been sufficiently impressed by mention of the "many heads of Typhon." The 56 separate tubes is the normal count of strands of a massive Peratt plasma column, here seen as if at close quarters. The battle of Marduk (Jupiter) and the dragon Tiamat -- in which Marduk drives a three-pronged spear into the mouth of the dragon -- as well as Indra and Vrtra, Zeus and Typhon, and any number of other pairs composed of the supreme God and a dragon with the body of a snake, all properly belong to another period -- the fall of the Absu in 2349 BC. The snake-like dragon in 2349 BC is the plasmoid from Venus. The plasmoid appears again in (astronomical year) 685 BC. This will be discussed in a later chapter. Velikovsky quotes a number of Roman and later authors and chronographers (at times as secondary sources) to the effect that the apparition was seen as a giant red-globed comet. Pliny in the first century AD writes, "A terrible comet ... twisted like a coil ... [and] a ball of fire." The comet is generally known as Typhon, after the last pharaoh of the Middle Kingdom, Tau Timaeus, rendered as Typhon in Greek (Velikovsky). Manetho records that, in the time of Tutimaeus [Tau Timaeus], "a blast of God's displeasure" fell upon Egypt and ended the Middle Kingdom (Velikovsky). The end of the kingdom actually came slightly later when the Hyksos invaded the Delta, taking advantage of the widespread destruction in that region. Since there are many similarities, the Typhon legend is easily confused with the Phaethon legend, where Phaethon, the son of Helios, the Sun, takes his father's chariot for an uncontrolled ride through the sky, burning up parts of the Earth. The ride of Phaethon happens in 685 BC, as I will relate in a later chapter. This is where the trident of Marduk belongs also. It should be understood that only the outer layer of the plasmasphere is electrically active in the minor contacts described in the text. The outer layers of a plasmasphere (and the extended tube), called the double layer, are conducting surfaces. The major repulsive electric force interactions happen only when the two planets can "see" each other within the combined plasmasphere. Velikovskian investigators have always assumed that the "fallen sky," which, from various sources, lasted 20 or 40 years, was made up of dust from the tail of Venus. Thus there was some disappointment among Velikovskians that no record of "dust" was found in the Greenland ice cores at a location corresponding to about 1500 BC. As I have stated, there was no dust in the edges of the tail of Venus (and certainly very little within the tubular form of the tail), and, as others also maintain, dust would, at any rate, have settled out in a few months. But nanometer soot from forest fires would not have settled out very soon. I refer the reader to the chapter "Tunguska and Chicxulub." This is not to say that the whole of the ice core data is not muddled by many unjustified assumptions about formation of the Greenland glacier. Volcanic dust from the Santorini explosion of circa 1350 BC was at one time held to be detected, but this was later repudiated. The lack of funds has greatly limited study. On the other hand, both the Grand Canyon of Arizona and the Valles Marineris of Mars show what can happen with massive plasma lightning strikes. The Valles Marineris is 3000 miles (4800 km) long and five miles (8 km) deep. The material which used to be there has disappeared. The same is true for the Grand Canyon. The Grand Canyon is a mile deep in places. But there is no run-off of water-eroded soil to be found anywhere. Valles Marineris probably dates from 720 BC, due to a strike to Mars from Venus. The Valles Marineris scar has a large left-right symmetry, as would be expected with a massive lightning strike (so says Thornhill). The "wanderings in the desert" were most likely a migration into the Arabian peninsula, towards Mecca. The Israelites were herders, and "wanderings" would not be unreasonable. The years of darkness were real. They are also recounted in the Vedas. The Mesoamerican records specify a darkness happened twice. This would be the events of 2193 BC and 1492 BC. For one of those events, the cloud cover lasted 25 years. For the Olmecs the period after 1492 BC was the start of history (and the start of the Haab calendar). When the skies lifted again, after a long period, it was celebrated as the creation event (or a re-creation event) with altars which show atlantes (the Gods of the four cardinal points) holding up a platform representing the lifted skies, or show a God in a niche below the table (recalled from 2349 BC). An altar from near San Lorenzo has the edges of the altar marked with the glyph for the word "cloud." The same altar design may be found at Chichen Itza, 2000 years later. The table is still used by the present Maya as part of a "centering" ceremony which celebrates the creation of the world. This passage, suggested by Velikovsky, was for me one of the more convincing data points in his exposition. Moses heard the commandments of his God as a cadence of repeating triple syllables -- in the groans of the seismic convulsions of the Earth. It is amazing that the results of the literary analysis by Velikovsky, in Worlds in Collision (1950), closely matches the results which are expected from physical considerations. What is almost certain (from later data) is that Venus did not change its orbital period by more than four days as the net result of the interactions, and that the orbit of Venus remained elliptical, although the eccentricity may have changed. The orbit of Venus did not circularize until after 670 BC. The length and dates for the rule of the Hyksos are in total confusion. Manetho (AD 200) records 511 years. Scholars of the 19th-century have estimated 200 to 400 years. Traditionally the period extends from 1648 to 1539 BC, which incorporates a dating error of 150 years. Even today this period has not been sorted out. Egypt split into three divisions, the Delta region held by the Hyksos, a central region held by the pharaohs of Memphis, and another independent region south of Aswan, held by Nubians, who modeled their culture on the traditional Egyptian civilization. "A new catastrophe caused by another member of the planetary family would easily raise it to the position of the supreme deity; on the other hand the fidelity to the protective deity of the previous age would cause one or another tribe to remain faithful to the old cult; religions and gods are tenacious contents of the human soul and peoples do not part easily from them." "Thus we see how the worship of Jupiter superseded that of Saturn; the worship of Venus (Minerva, Athena, Astarte, Baal) in many regions eclipsed the worship of Jupiter; and the advent of Mars and its participation in celestial wars brought new schisms into religious thinking and caused new religious wars. Thus the Greeks battled under the patronage of the planet Venus (Athena) whereas the Trojans battled under the protection of Mars (Ares); but Ares was also recognized as god by the Greeks and Athena as a goddess by the Trojans. Similarly the Toltecs, faithful to the cult of Quetzalcoatl, the planet Venus, warred and succumbed in the war against the Aztecs, the younger race that proclaimed Mars (Huitzilopochtli) as their god. The Romans regarded Mars as their protective deity but their main sacrarium was dedicated to Jupiter and Minerva (Athena). Egyptians also regarded Amun as their supreme deity and Ra was its other name. In another cult center of Egypt Osiris and Isis were worshipped as supreme gods; in early times they represented Saturn and Jupiter; at a later time Isis became synonymous with Astarte-Athena, the planet Venus." "A few peoples through consecutive planetary ages kept fidelity to the ancient Kronos (Saturn), whose age was previous to that of Jupiter. Thus the Scythians were called Umman-Manda by the Chaldeans, and Manda is the name of Saturn. The Phoenicians regarded El-Saturn as their chief deity; Eusebius informs us that El, a name used also in the Bible as a word for God, was the name of Saturn." "The functions of different gods tended to vary by city states, but of the Great Seven [of the Sumerians], An was universally the god of heaven, Enlil the god of air and earth, and Enki the god of water and wisdom; less important were Utu the Sun god, Nanna the Moon god, Inanna the goddess of love and war, and Ninhursag, the mother of gods." "The name and status of the main god depended on who had the power. In Sumerian times, the greatest god was An, whose son was Enki. In the Old Babylonian period, of course, the city god of Babylon, Marduk became the main god and was also to be son of Enki and grandson of An. As An was more like a 'deus otiosus,' Marduk as an acting god started to be identified with the acting main god Enlil, whose son, god of war Ninurta was identified with Marduk's son, multifunctional Nabu." "Saturn is hard to interpret, as it is connected to Ninurta, but this leads us through Nabu straight to Mercury... . Sumerian Nanna and Akkadian Sin are the Moongod, Utu or Samas is the Sungod without a hint of doubt." The status of Mercury (Nabu) as a God is curious from our perspective, since we see so little of Mercury. Mercury orbits close to the Sun and today only shows a few degrees above the horizon before sunrise or after sunset and on only a few days out of every three months. It clearly suggests that Mercury was on a radically different orbit and was much more prominent in the skies of antiquity. There is a very large voltage difference between the Earth's crust and the ionosphere. The voltage difference can become extremely high even with small changes of elevation, and mountaineers especially have experienced severe shocks under adverse atmospheric conditions -- simply by reaching up to gain a hold on some rock surface. At ground level the voltage difference amounts to about 600 volts in six feet (2 meters) of elevation. But any tall conducting structure takes the potential at ground level and inserts it into an elevation with a higher potential. Thus the voltage difference at the top of a tall structure is much greater with respect to the surroundings, often enough to ionize the air, especially at the tips of sharp spikes. This will be seen as Saint Elmo's fire. I would not make the suggestion that material of one plasmasphere could be transferred to another in "brushing" each other while passing in space, if it were not for the fact that only this explains the sweet smells of the 8th and 7th century BC, noted throughout the world. The Olmecs call them "fragrances of flowers." The fragrances were associated with close passages of Mercury. It is not at all certain that Yahweh is to be equated with Venus. The planet Mercury is much more likely, with Jupiter even more so. Yahweh was defined in the exile era (563 to 483 BC), or the post-exile era, as a singular spiritual (unsubstantial) entity along the lines of Persian Mazdaism (which actually was an invocation of Saturn or Jupiter). On the flaming bush, see Joel T. Klein, Through the Name of God (2001), which offers "burning bush" as a later mistranslation of an Egyptian word originally equivalent to Shamash. Alfred de Grazia is an accomplished academic, and read everything ever written on Moses and the Exodus before writing God's Fire in 1983. I am using his text as a source because it reflects on the developing subjective consciousness of this period (which he would probably deny). Aris M Hobeth, in Moses in the Twelfth Dynasty Egyptian Literature (2002), places Moses, and a dozen others Bible personalities from Exodus through Numbers, in the Egyptian 12th dynasty -- some as pharaohs, including Moses as Senusret III (the literary Sesostris), Aaron as the high priest of On, others in secondary roles. The compelling analysis is based on the clear parallels derived from a half dozen narratives extant from the 12th dynasty. The details between the Bible and the literature of the 12th dynasty is amazing and convincing. See Hobeth's site, [ArisMHobeth.com]. 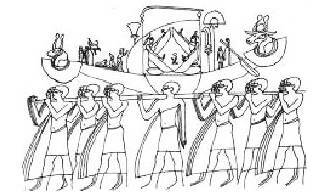 Hobeth equates Moses with Senusret III. He suggests dates around 1500 BC. The 12th dynasty is traditionally dated to 1985 to 1795 BC, on the basis of a single Sothic date -- a literary reference to the rising of "Sothis" in the reign of Senusret III and retrocalculated to be in 1870 BC. It is not. The whole system of Sothic dating is bogus, and has today been abandoned, although it still held on to in textbooks. Relocating the 12th dynasty to around 1500 BC has also been done by a number of other people: Immanuel Velikovsky, Ages in Chaos (1952), Bible apologists like Donovan A. Courville, The Exodus Problem and Its Ramifications (1971), and academics like Peter James, et alii, Centuries of Darkness (1991), and David Rohl, A Test of Time (1995). Damien Mackey makes the same claims as Hobert with Solomon And Sheba, in Chronology & Catastrophism Review (1997), based on earlier work by Velikovsky, John Bimson, and others. 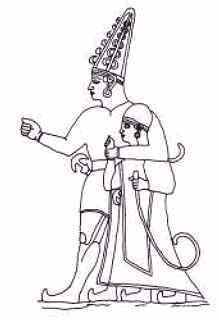 It is probably the presence of the Hyksos (or Mitanni) which kept the Israelites from advancing north into Canaan for 40 years. Josephus mentions the Philistines. P. Warlow, in "Geomagnetic reversals?" Journal of Physics (1978), suggested an inversion of the Earth like the operation of a toy "Tippe Top" which moves the precession reaction torque (the gyroscopic reaction) to the upper portion of the top, making it look as if the initial spin had remained in place. This happens as the globe is inverting. This exchanges the east and west (for the Tippe Top). The Sun will then rise over some western landmark of the horizon. If the rising Sun defines "east" then east and west have interchanged. The Tippe Top concept is a totally erroneous concept simply invented to satisfy the requirement of seemingly exchanging east and west, something supported with many quotations by Velikovsky, none of which prove the point. See the Appendix "Polar Relocations" for details. With Warlow's model the Earth would not upright itself again, or if it did, it would happen by means of some other catastrophe (it is claimed). For Warlow this suggests placing one catastrophe in 2300 BC (of which he has no details) and another at the time of the Exodus. Not untypical of catastrophists like Warlow, he then equates one event with Typhon and the other with Phaethon. Warlow's model also required the Earth to rest on a table top. There are Egyptian and Mesopotamian images of devices which look very similar to the description we have of the Ark of the Covenant. In 2 Samuel 6:2 is a description of Yahweh, "... the ark of God, whose name is called by the name of the LORD of hosts that dwelleth between the cherubims." The God of the Israelites dwelt with them, in visible form. De Grazia and a number of other people have suggested radiation poisoning as the source for the widespread "leprosy" of biblical times (as well as the barrenness of women and the falling out of hair mentioned by Ipuwer). It has been suggested that the Ark may have contained radioactive materials, and for this reason was returned to the Israelites after being captured by the Philistines, who got sick after approaching the Ark. However, UV and X-ray burns are more likely than radiation poisoning. On the other hand, the interplanetary lightning strikes at the Great Lakes in circa 10,900 BC, left areas of lower Michigan radioactive. To attribute radioactivity to the contents of the Ark seems a little far-fetched. Others have suggested that the "leprosy" of antiquity was a slow acting viral infection. Today it is known to be a bacterial infection. The need for a ground plane which would be responsive to induction of positive charges was known long before the Middle Kingdom of Egypt. Many of the megalithic structures in Northern Europe, dating from 3400 to 3200 BC, are surrounded with ditches and at times with wells backfilled with rock. These would act to collect and hold groundwater, thus providing a larger flat plane which could be "electrified" by induction from an overhead electric field. Even when dry, the ditch acts to increase the potential difference between the tops of the monuments and the ground plane. Certainly many of the locations of ancient sites were chosen for this reason, which is why we often find ancient megalithic monuments grouped together. This quote by de Grazia relates to Jaynes's use of the traditionally accepted dating of the event of the battle at Troy to circa 1200 BC (attributable to a hasty comment by Herodotus) and the later reduction to text of the Iliad to circa 700 BC. The Asiatic Greeks have disagreed with the early date of the war since 400 BC. (See also the endnotes to the chapter "The Tablets of Ammizaduga" on the dating question.) The late date of the final authorship of the written version of the Iliad is unquestionable. It may have been as late as 650 BC. But in that there is no indication of a "development" of Greek literature -- the Iliad bursts forth as a fully developed literary masterpiece after 700 BC -- it has always been assumed that it was preceded by a long tradition of oral poetry. It has never been considered that perhaps all previous literary efforts in mainland Greece and Greek Asia Minor were lost during worldwide catastrophes. Even Plato remarked on this. Jaynes assumed that the Iliad represents the compositional efforts of a pre-conscious bard, and used the Iliad as a centerpiece in the analysis of a developing subjective consciousness. Jaynes thus had to establish a method of verbal transmission, ending with a last pre-conscious writer, Homer, 500 years later. Jaynes's suggestion is that the songs must have been transmitted by some trance-like mind-state among bards. But this position is not needed. The theory of verbal transmission is partially based on the studies of Croatian bardic traditions in the late 19th century or early 20th, which in turn was applied to such epics as Beowulf and the Iliad, especially in terms of the formulaic sentence structure which grates on our sensibilities today but which is explained as a method of line completion within a required meter. But the idea of faithful verbal transmission in the Balkans has not held up on closer scrutiny. After having read the Iliad a half dozen times, I seriously doubt the need for "trancelike states." I think the Iliad may have been purposely written in the style of an ancient document. And it certainly captures that flavor and, at the same time, the epic is a masterpiece of political balance by placating the egos of both the Asiatic and the European Greeks. The great care taken with this, as with all aspects of the epic (such as with its internal time structure), would suit Jaynes's research equally well, and perhaps even better than if the Iliad were a totally genuine document. It looks much more like the Iliad was written by a fully conscious poet sometime after 747 BC, about a war completed perhaps as much as 300 years earlier, or more likely as fictional. As a fiction there is no need to have a pre-conscious poet who transmits poetry orally. There are just too many "literary devices" in use with the Iliad to suggest anything different, including the fact, recognized long ago by the Greek editors of the Iliad in 600 and 500 BC, that Homer uses a "poetic diction" which does not match any spoken Greek dialect. He even makes up words as he needs them. There are some notable anachronisms in the poem and far too much heroics among its characters. Even so, I have no problem with the scope of Jaynes's analysis. When you read how one war chief asks another for a favor with, "Considering the favors you have done me in the past, I thought I could ask for another," you realize that Homer is no rhyming automaton, but a fully subjectively conscious human. See also the essay by Livio Stecchini, "Gyges and Homer," at [www.metrum.org], which places the writing close to 680 BC, and holds the Iliad as a fictional polemic poem written for the benefit of the Asiatic Greeks. Talbott has suggested that not only is the Iliad a fiction, but that it recounts the war of the Gods in 3147 BC. In that there are no references to the solar nova event of 685 BC, it could be suggested that the Iliad was reduced to written form before 685 BC (680 BC in Eastern Mediterranean chronology). Hosea suggests that Moses was murdered. See Ernst Sellin, Mose und seine Bedeutung fur die Israelitisch-Judische Religiongeschichte (1922), and commentary by de Grazia in Chapter 7 of Gods' Fire. I copied the last line verbatim from de Grazia who transcribed it exactly from Jaynes. I have noted the prevalence of Mercury shortly after this time (circa 1200 BC), as if Mercury again passed over the Earth's orbit on a regular basis (which previously had started in 1900 BC). Note the resemblance of the snake wound about a pole and the Caduceus of Mercury. Moses died below Mount Nebo, named after Mercury. Earthquakes are often preceded by electric discharges from deep in the Earth. Piezoelectric voltages are generated by the distortion of quartz-bearing rock. The breeched walls of Jericho have been excavated, and were originally dated to have fallen due to earthquakes circa 1300 BC. The date was later revised to match the "standard" chronology of Egypt, erroneously placing the date about 600 years earlier. "The conclusion reached by the excavator of the great-walled Jericho -- a Middle Bronze city, destroyed only a short time after the end of the Middle Kingdom -- is in perfect agreement with the timetable of 'Ages in Chaos': the Israelites arrived at the walls of Jericho only a single generation after the end of the Middle Kingdom in Egypt, still in the Middle Bronze (the beginning of the Hyksos occupation). There is complete agreement between the archaeological finds and the scriptural record." The city was looted, razed, burnt to the ground, and left unoccupied for 600 years. "In Fetlar, one of the Shetland Islands, a solid mass of rock 105 feet [35 meters] long, 10 feet [3 meters] broad, and in some places more than 4 feet [1.3 meters] high, was in an instant torn from its bed by lightning and broken into three large and several small fragments... . [One fragment], 28 feet [9 meters] long, 17 feet [6 meters] broad, and 5 feet [1.5 meter] in thickness, was hurled across a high point of rock to a distance of 50 yards [50 meters]. Another broken mass, about 40 feet [13 meters] long, was thrown still farther, but in the same direction, and quite into the sea." Venus may have made electric contact with Earth repeatedly, as I have counted six times, but recorded as seven times by various people in antiquity. Velikovsky and others have presented evidence of additional 104-year cycles or "ages" in use worldwide. Archaeologists at one time suspected a 50- or 100-year cycle (this would be 52 and 104 "Tun" years) of purposeful destruction of Olmec ceremonial centers in Mesoamerica, as, for example, at La Venta (800 -- 400 BC). Although it would be suggested that the "cycles" would be based on sightings of Venus when it seemed to almost reach Earth (which it did not), in fact the celebration of the "52-year" interval was a religious ceremony determined by the calendar, and, since 1442 BC, may have had little to do with the location of Venus in the skies. See the chapter "Olmec Alignments" for a discussion of Olmec La Venta and other ceremonial locations. In the Chilam Balam books of the Maya, the name for Venus suggests seven appearances (electric interactions) in prehistory. I can only locate six of them with certainty, so it is possible that the list of seven may have included an additional appearance either in 776 BC or in 685 BC. This is also the period of the first appearance of the oracle inscriptions of the Shang dynasty in China. The I Ching is of a later date, since a textual analysis places it after 700 BC, although the trigrams probably date to before 3200 BC. Size of this page: 23851 words.